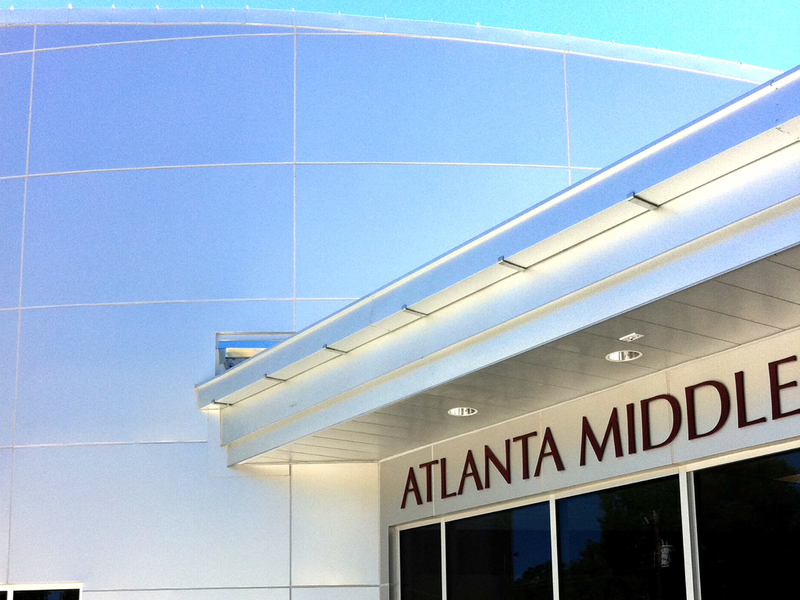 Atlanta Middle School is a new building that was built immediately adjacent the building it was designed to replace. 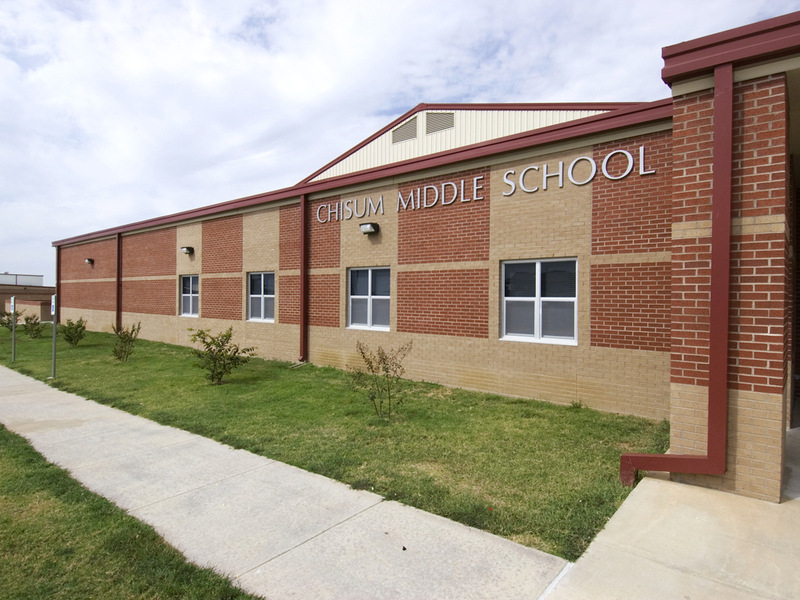 After completion of the new structure, the old middle school was demolished. 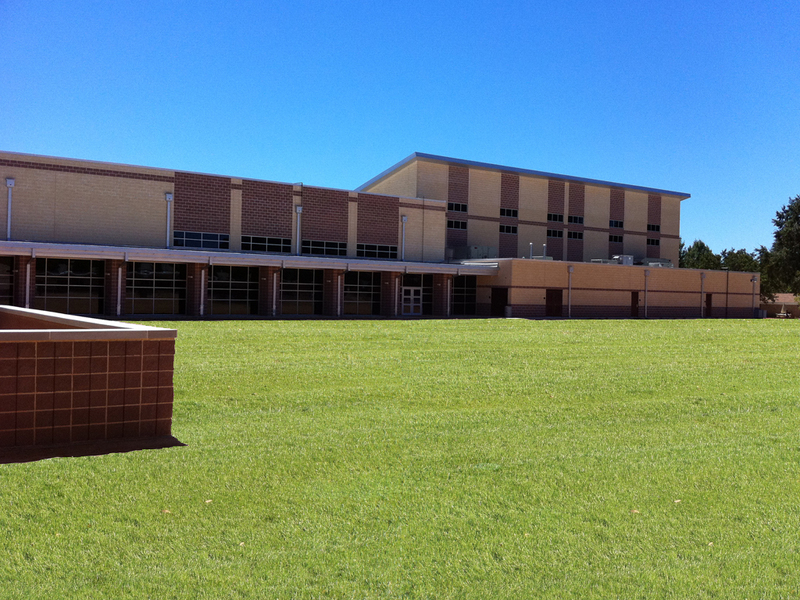 Technically, most of the new building would be considered an addition. 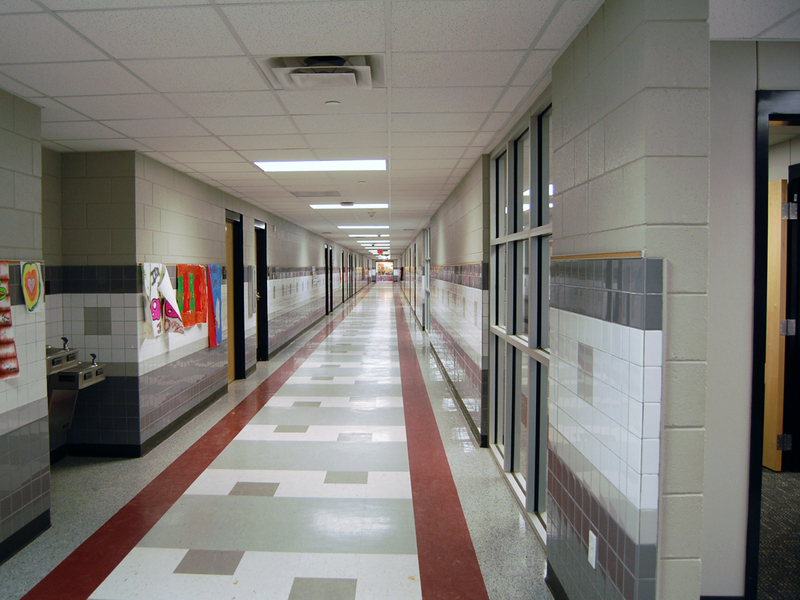 One wing of the original school was renovated and is now holds administration and classrooms space. 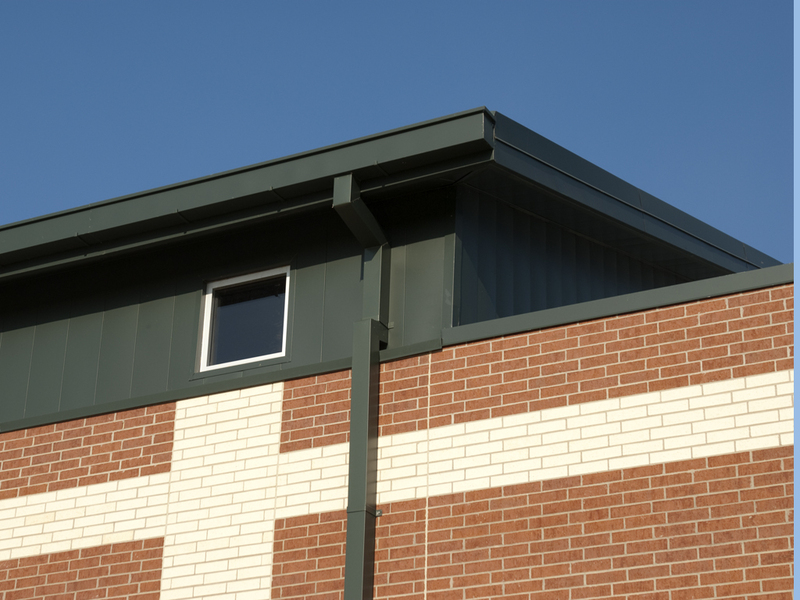 This wing makes up one leg of the entire U-shaped building. 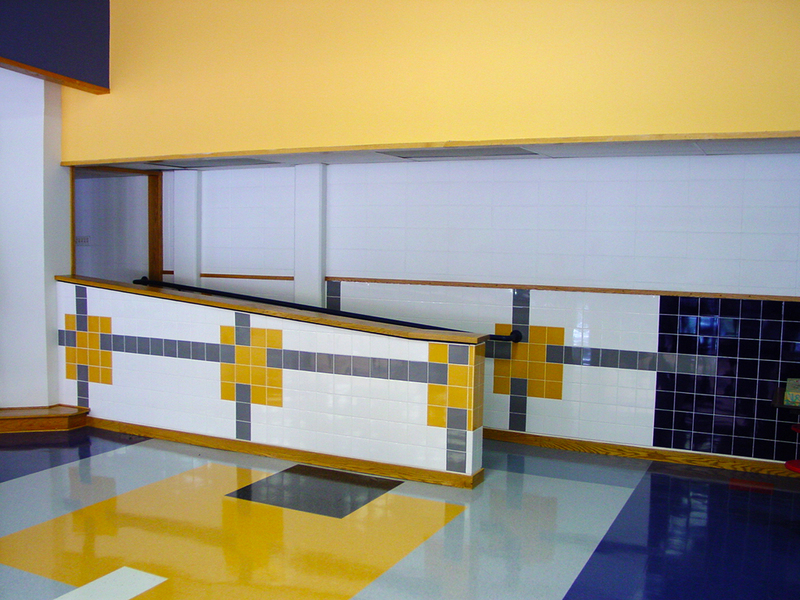 The other two legs are made up by more classroom space and the large programmatic spaces of the band hall, cafeteria and gymnasium. 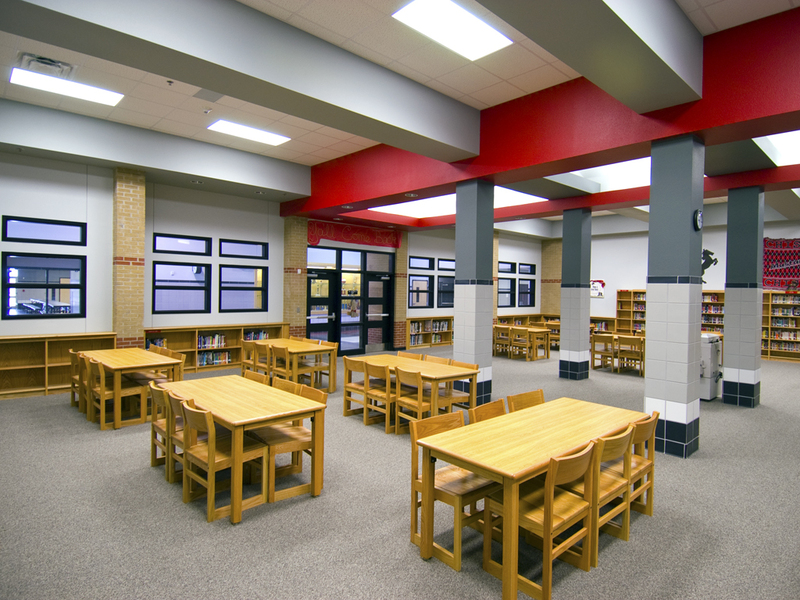 The media center is located at the intersection of the pre-existing building wing and the new classrooms. 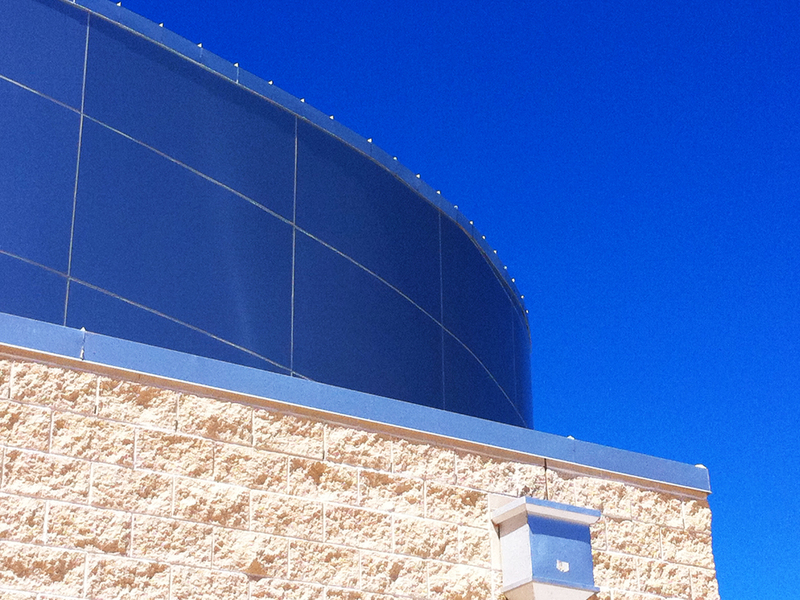 It is a metal-clad oval that pins the two wings together and acts as the focal point of the building’s main entrance. 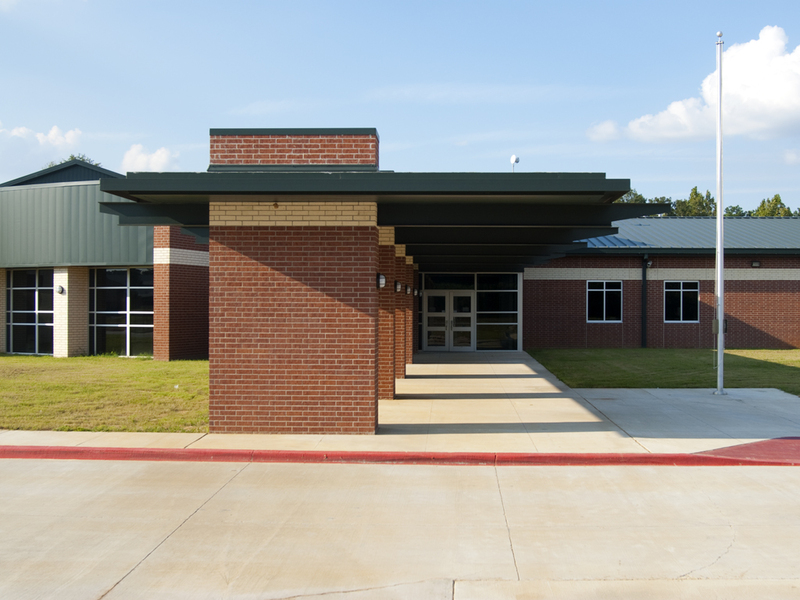 Currently, the junior high and senior high are located in a single building adjacent to the existing elementary school. 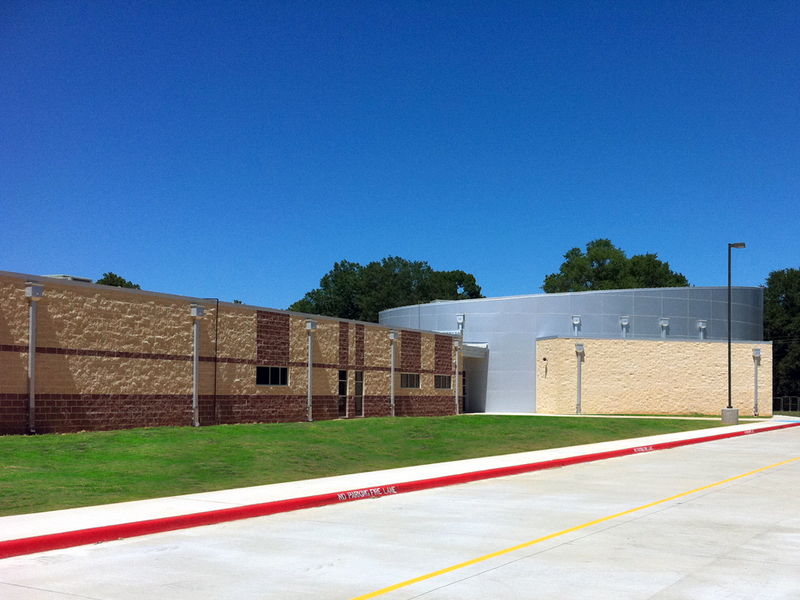 Due to growth, the District elected to construct a new facility on the same campus for the middle school students. 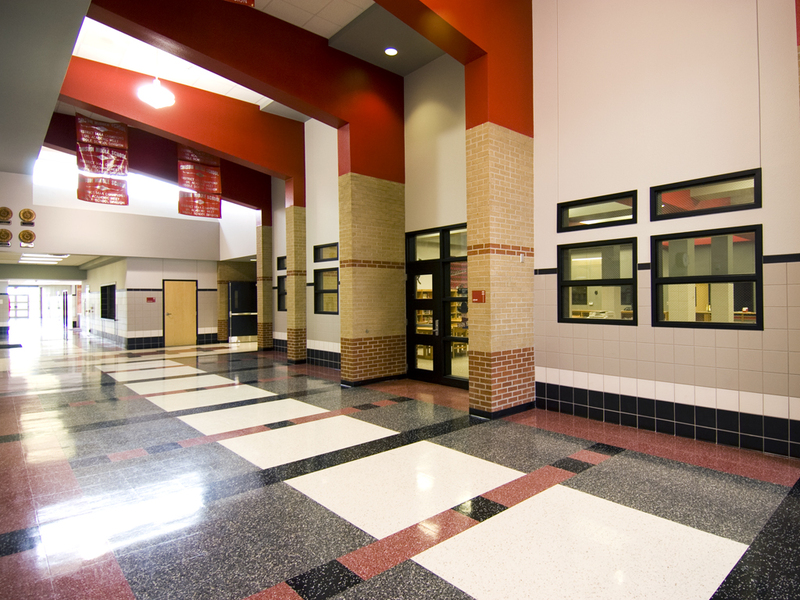 The building is zoned with the active academic elements on the south side of the site, which include the administration, media center, cafetorium, food service, gymnasium, band and choir. 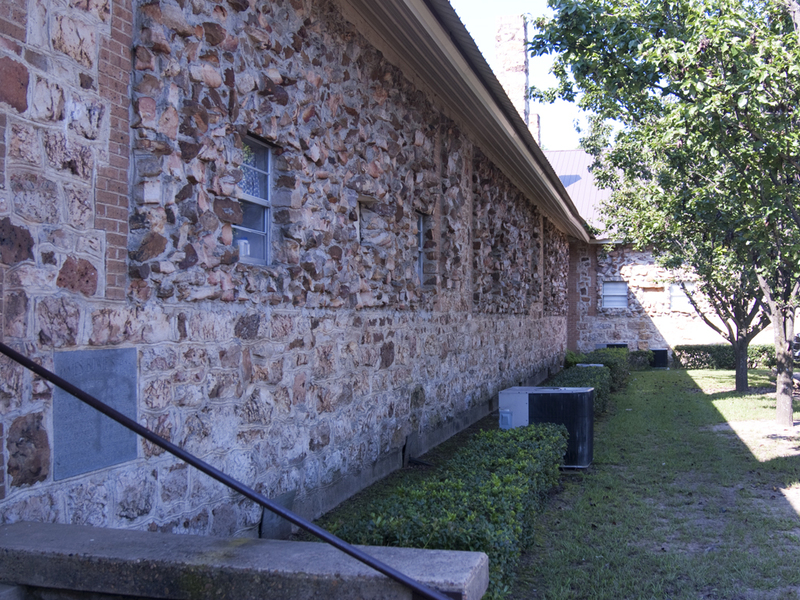 The passive academic areas, form a wing to the north side of the site. 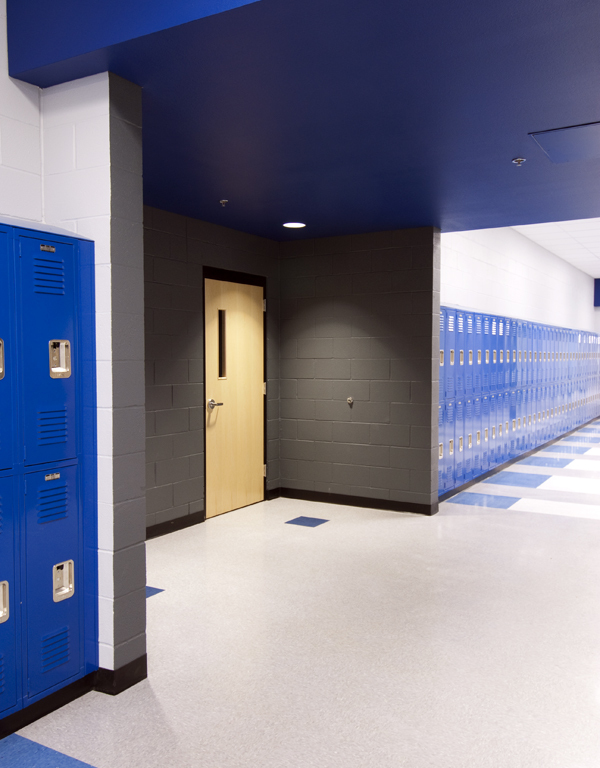 Circulation is defined by a pair of double loaded corridors that run the length of the classroom wing and a main corridor that extends through the building from the entry. 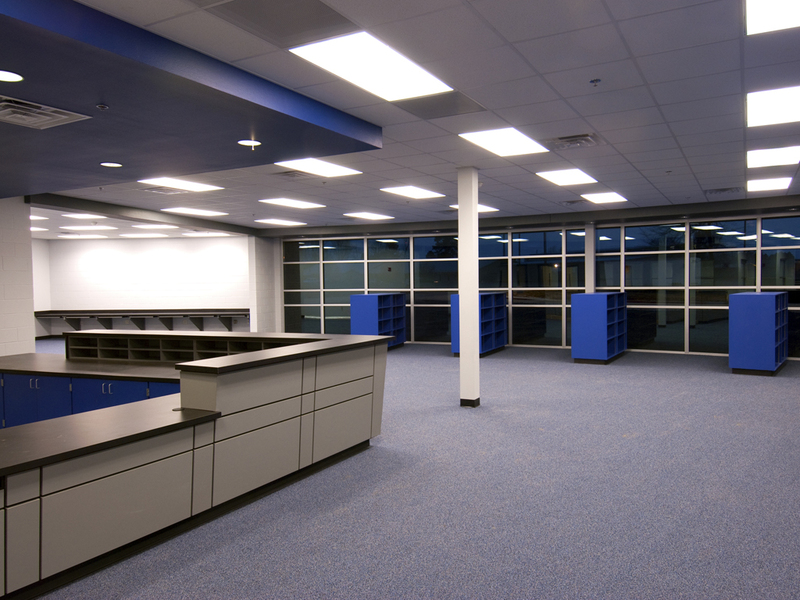 The roof at the classroom corridor was raised for clerestory windows, bringing natural light into the corridor space. 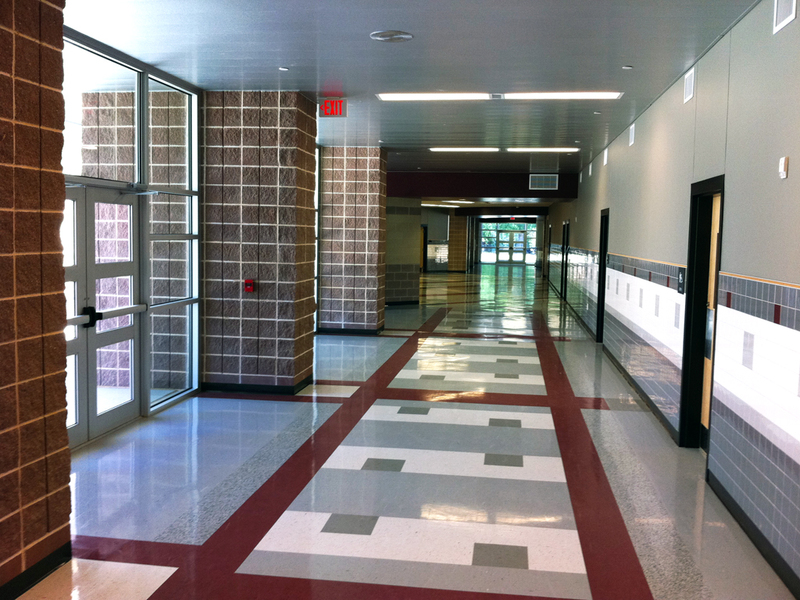 Finishes in the corridor and public spaces include terrazzo tile, ceramic wall tile and stained pywood. 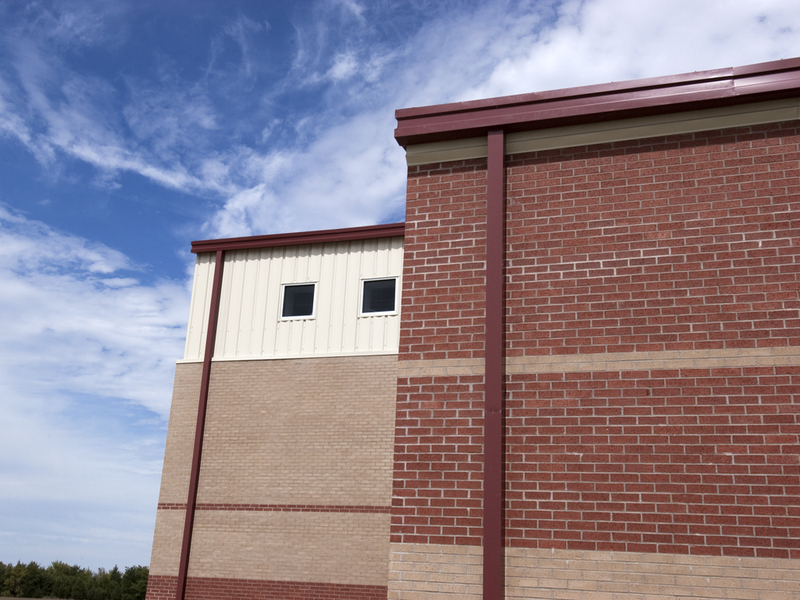 Due to the potential swell in the native soil, the building was constructed with a crawl space, using elevated grade beams and hollow core concrete planks with a pre-engineered metal building. 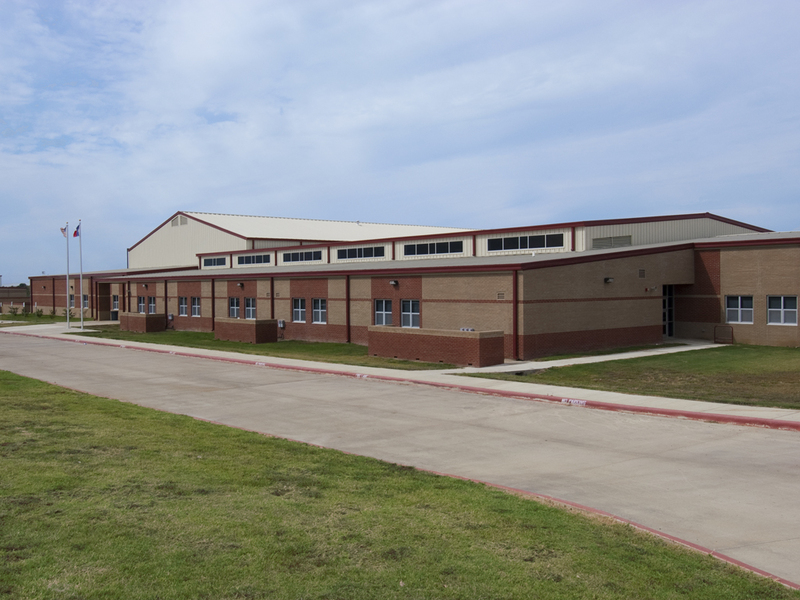 James Bowie Middle School currently serves 6th through 8th grades. 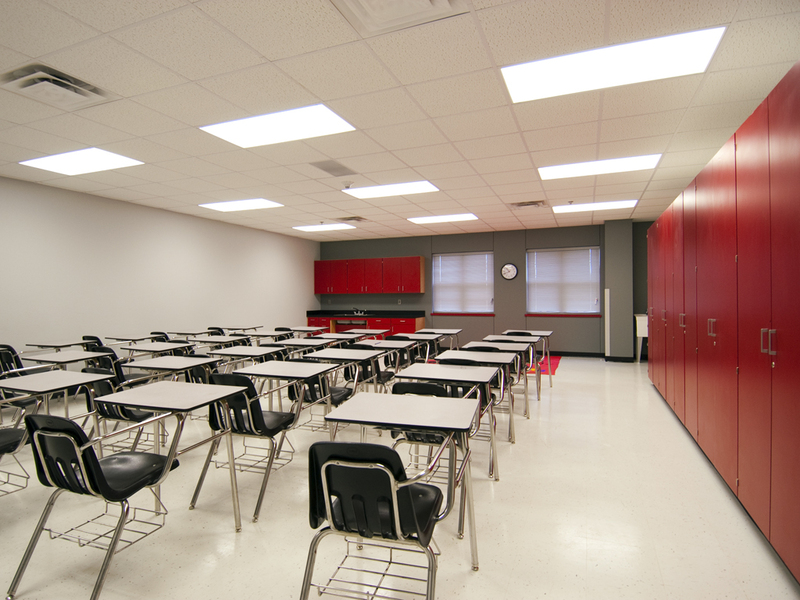 The existing building had sixteen classrooms, three offices, toilets and a janitors’ closet. 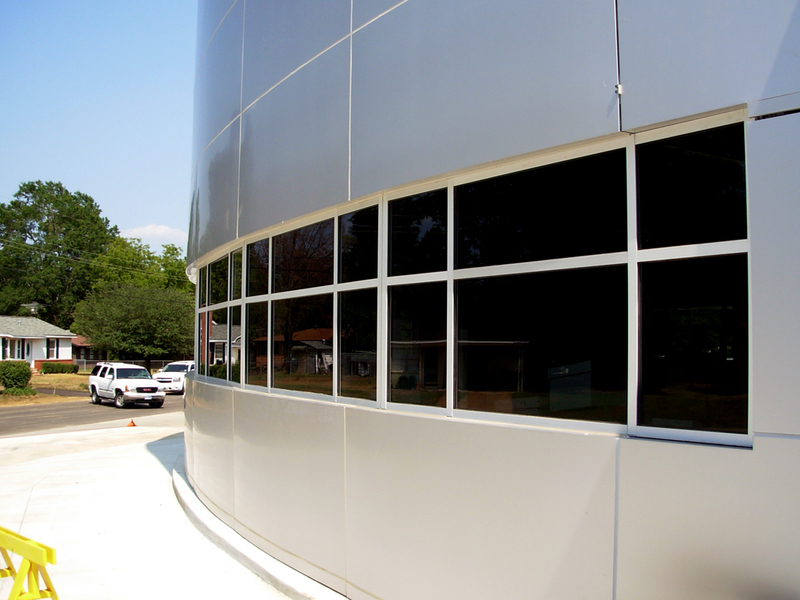 At the exterior, we removed the rock face from the building to expose the existing windows. 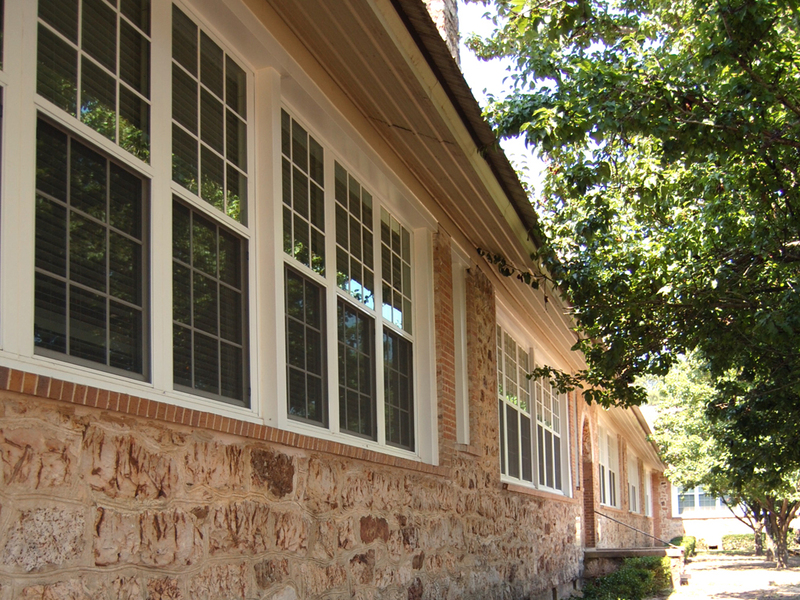 These windows were removed and replaced with new aluminum windows that had been fabricated to match the original design. 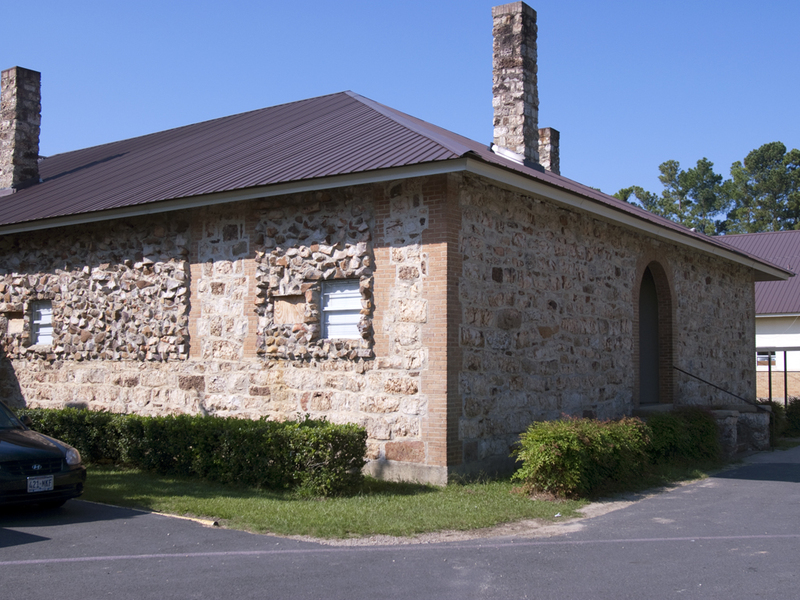 The existing metal roof was repaired as needed and new flashing was installed around the chimneys. 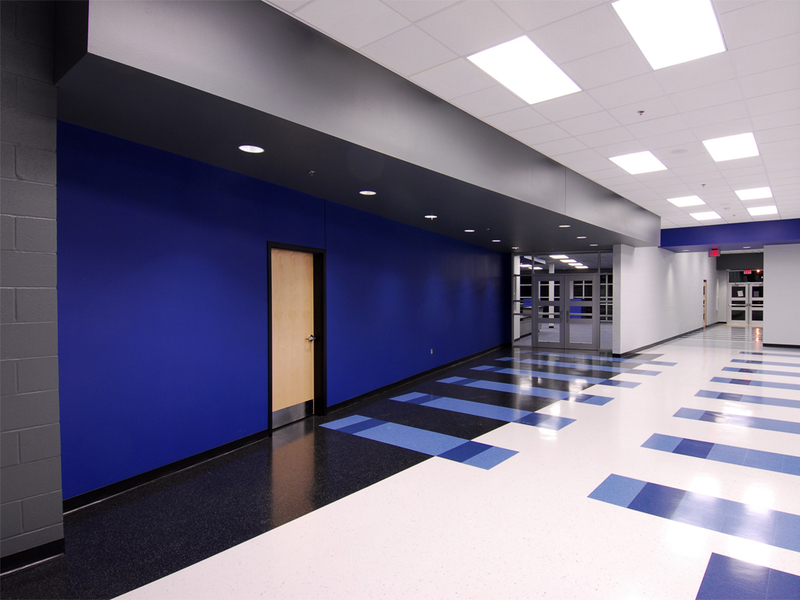 New electrical service was brought into the building and new electrical distribution was provided throughout. 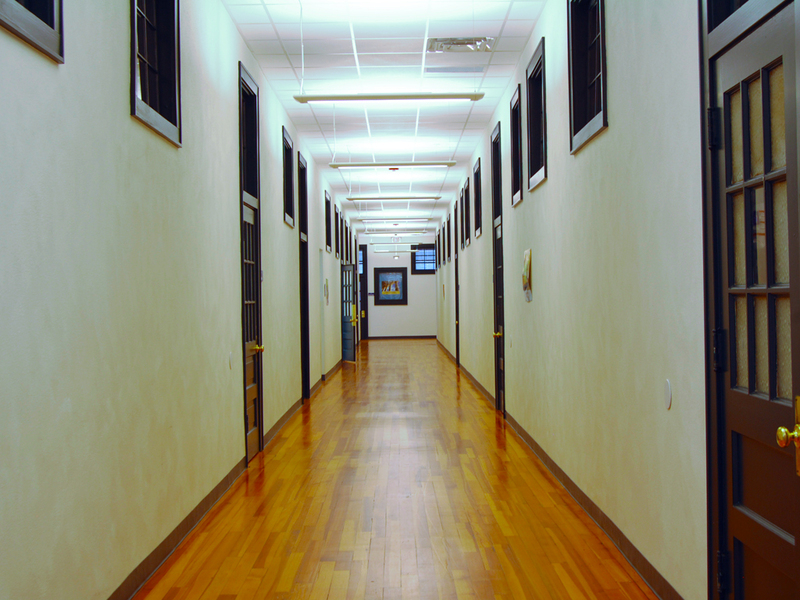 The interior scope of work included general refinishing of all spaces, included the building’s original wood floors in the corridor. 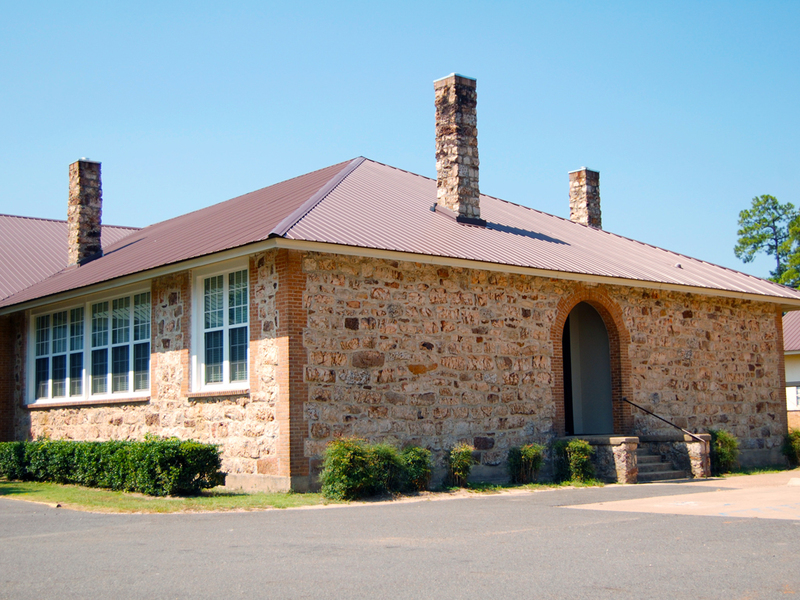 The original building was constructed as an elementary school in 1986. 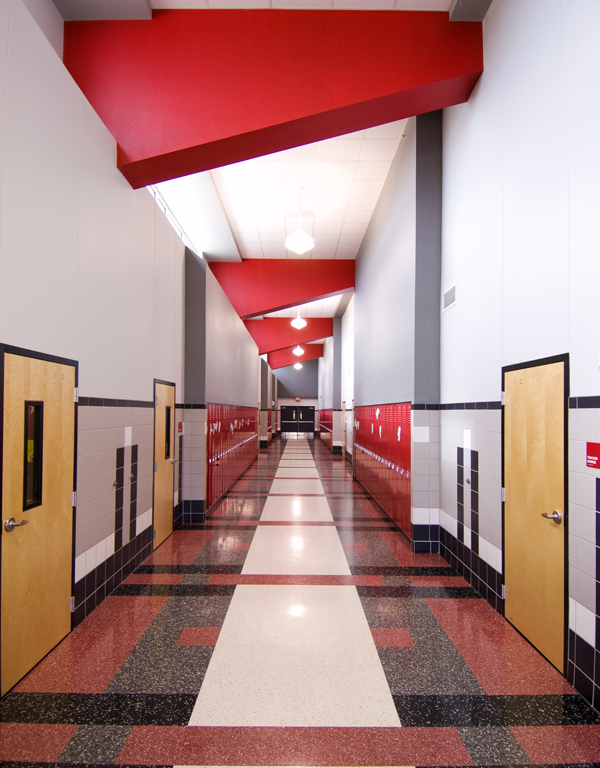 As part of the current bond program, Shiver+Associates renovated the existing facility into a new Junior High for Ponder ISD. 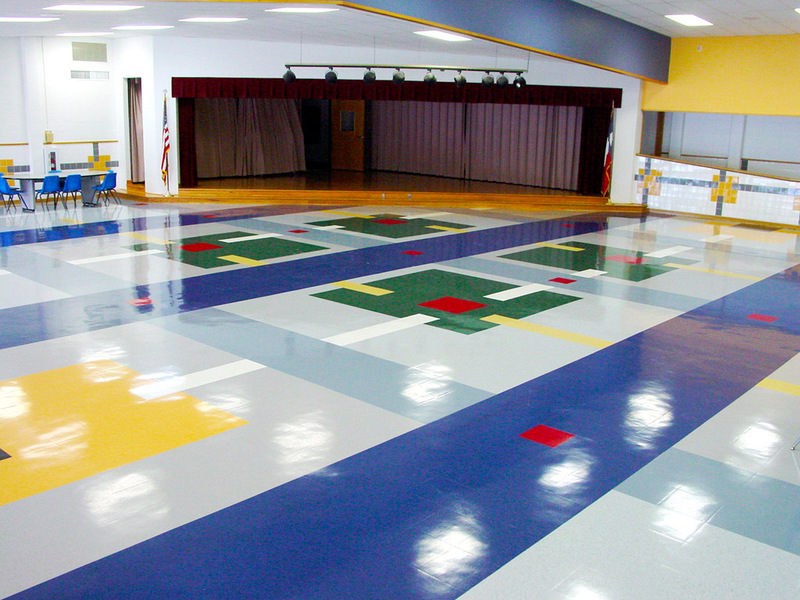 Phase I was completed in the Summer of 2002. 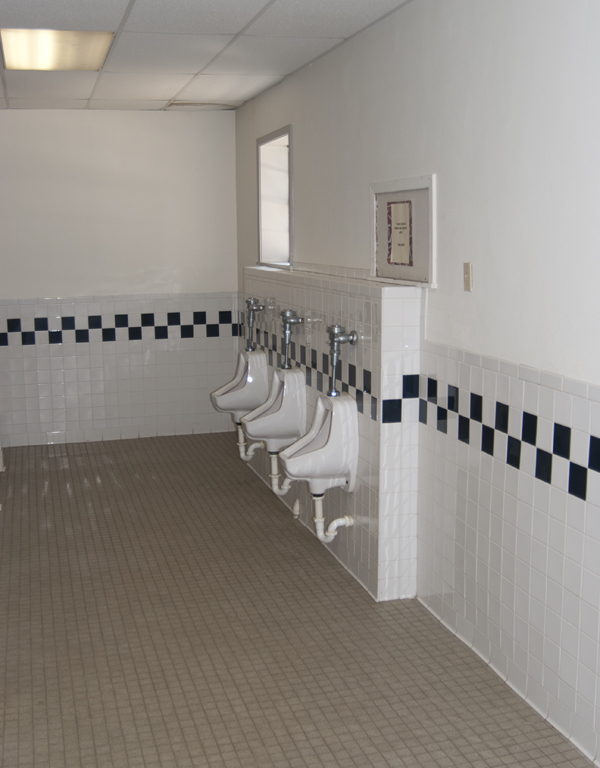 The scope of work included renovation of the existing kitchen, kitchen floor, flooring, plumbing, cafetorium, commons, corridors and provisions for ADA compliance in the existing toilet rooms. 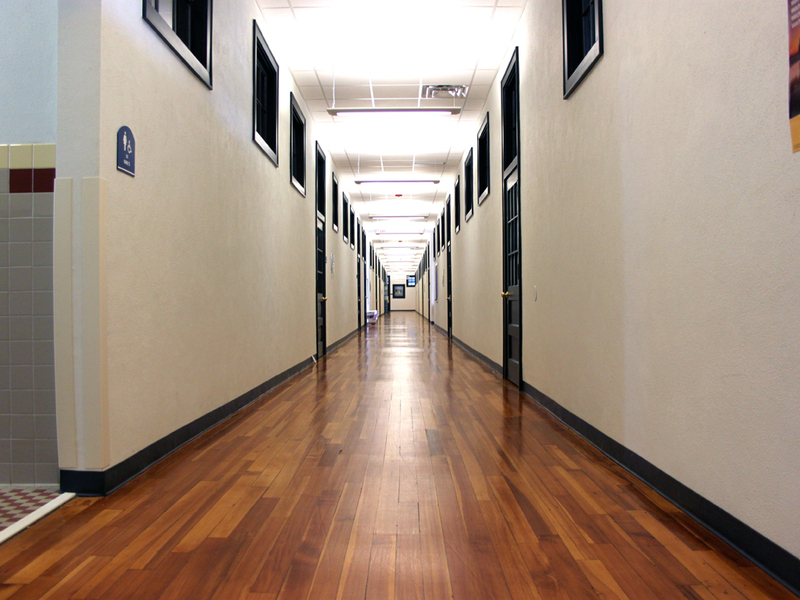 The existing wood trim throughout the building was removed, categorized, refinished and reinstalled. 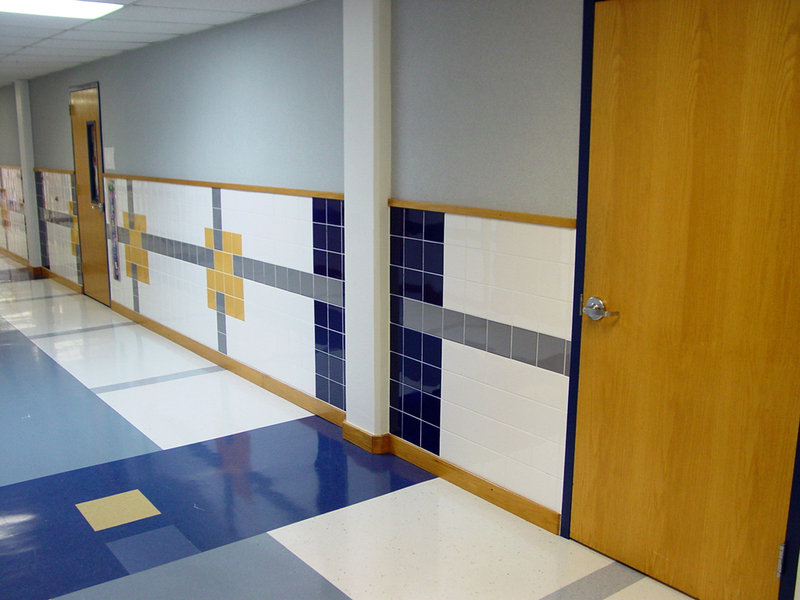 A new ceramic tile wainscot was installed in the corridor and all public spaces. 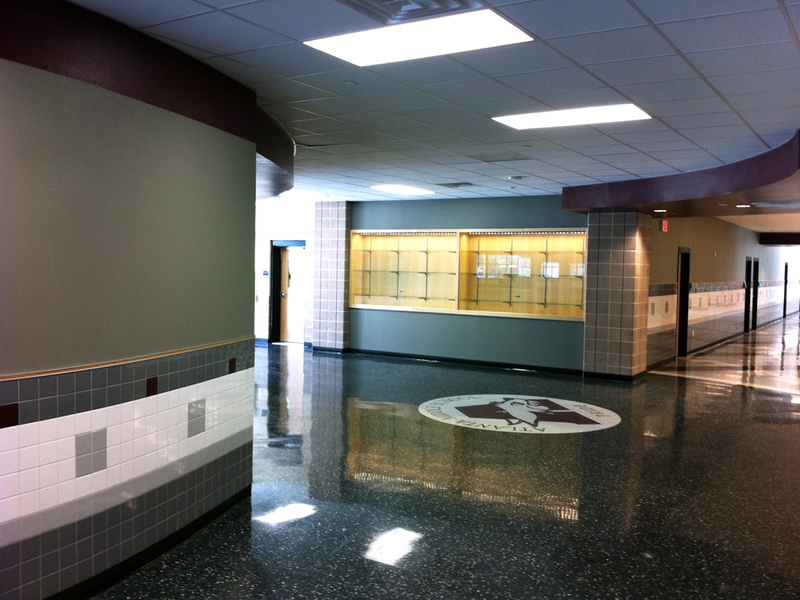 Wall covering was installed above the wainscot and at all existing drywall locations. 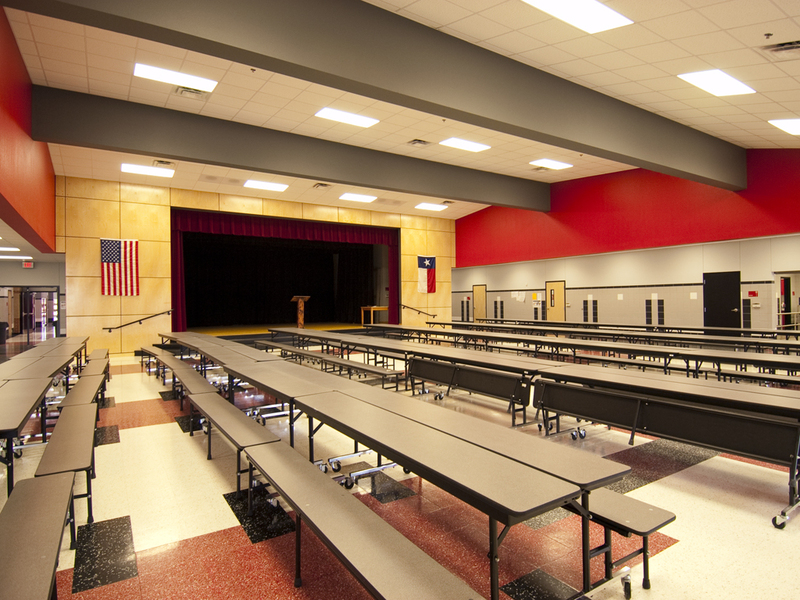 HVAC and ductwork were replaced in the kitchen areas. 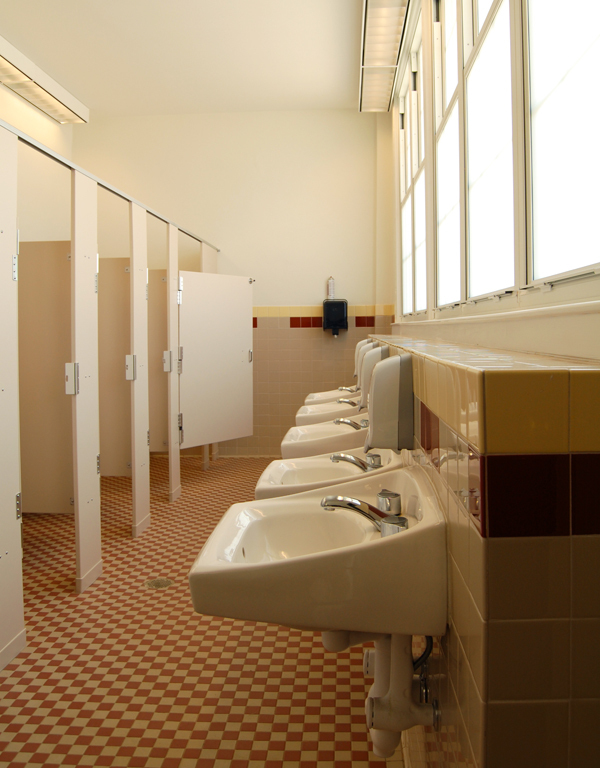 New finishes were installed throughout the 58,000 s.f. building. The cost for Phase I was $298,000. 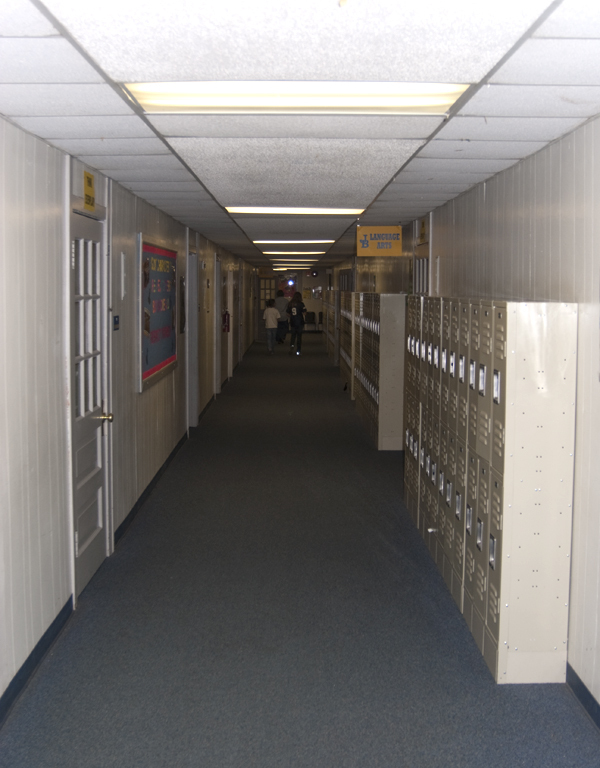 Phase II was completed in the Summer of 2004. 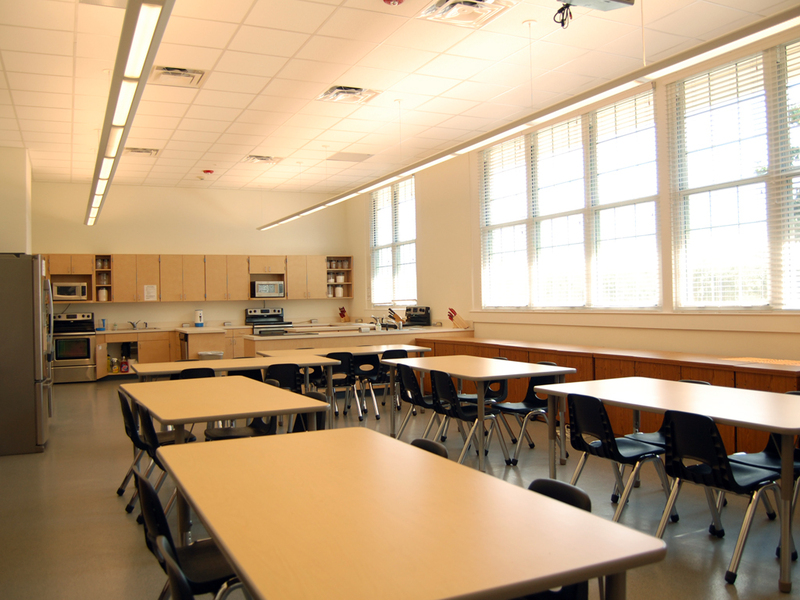 Scope of work included new finishes in the classroom areas, new millwork and modifications to existing millwork in the existing classroom areas, addition of three science labs, renovation of the media center and renovation of the administration area. 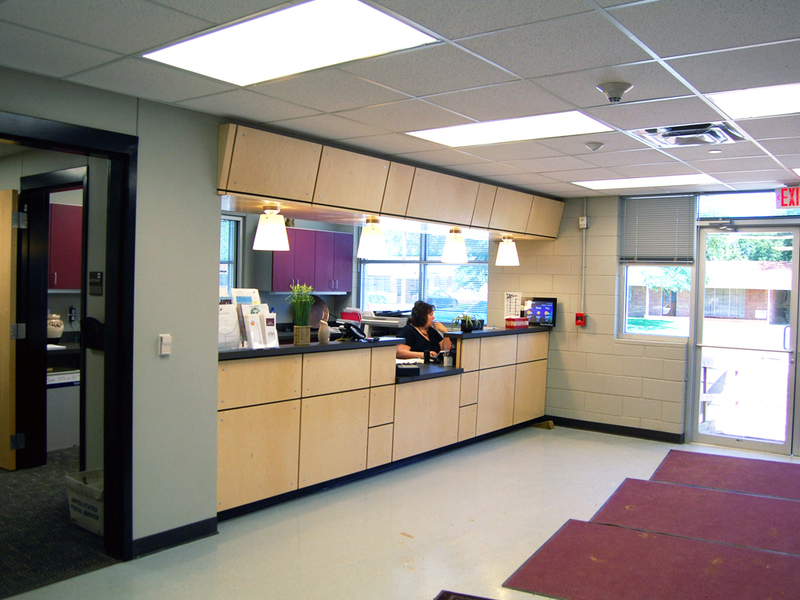 A new fire alarm, PA, telephone and sound system were installed. 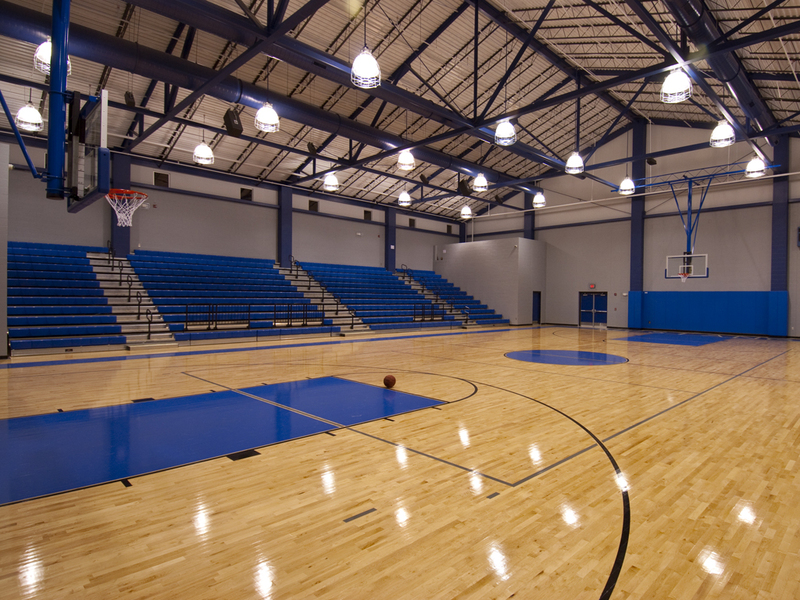 The cost of Phase II was $360,000. 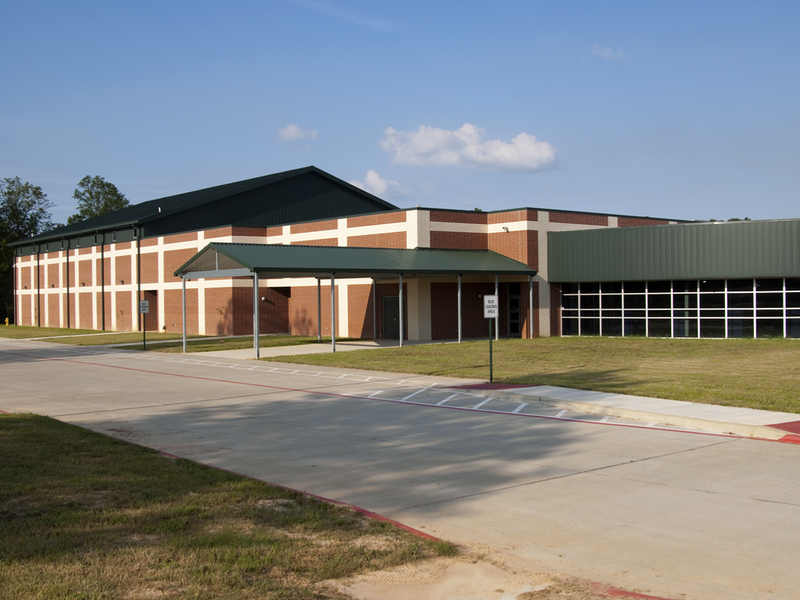 Red Lick ISD is a K-8 school district located on the western side of Texarkana, Texas. 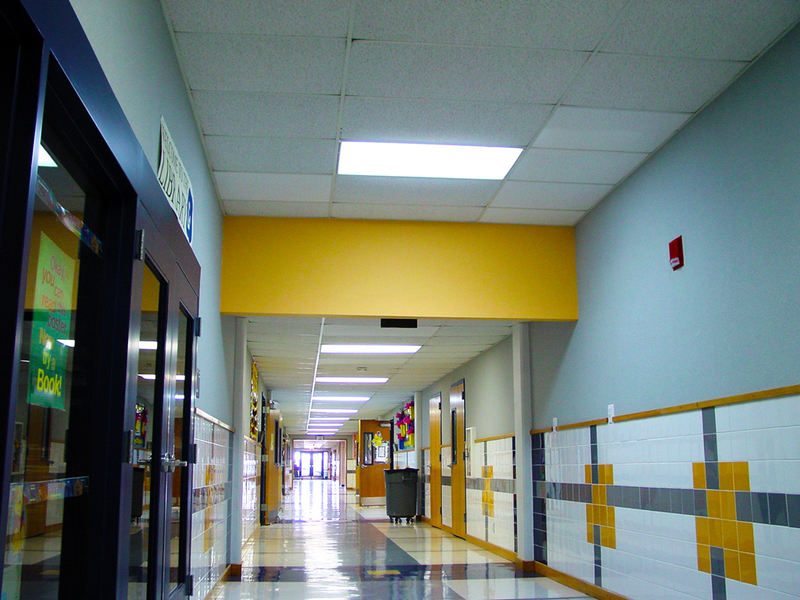 Low propery tax rates have led to continued growth in the area and for the school district. 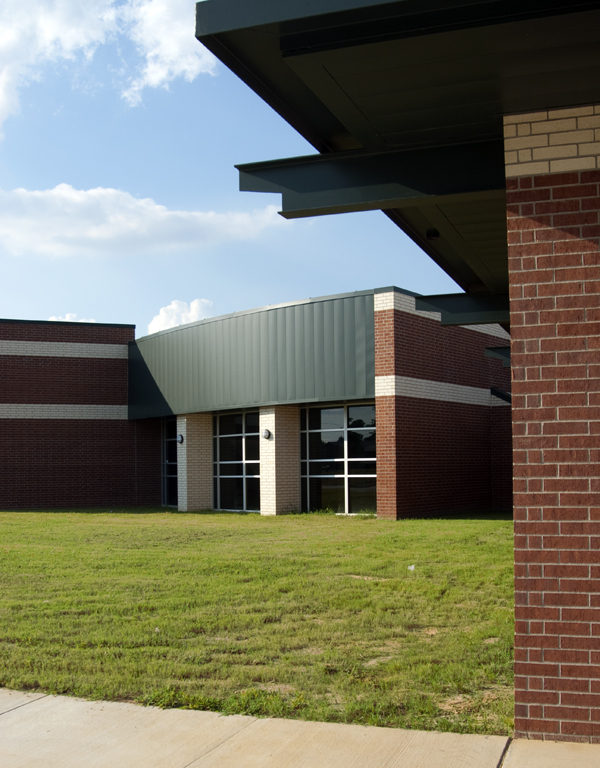 In response to the growth, the district purchased a heavily wooded, nineteen acre site across from the existing school campus. 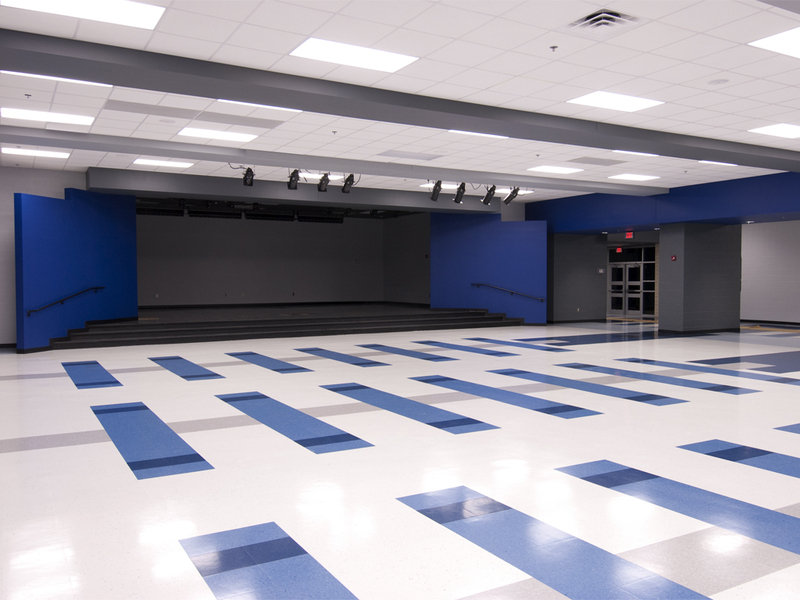 Scope of work involved developing a masterplan that addressed relocating the 6th through 8th grades to the new site. Masterplanning efforts included locating specimen trees on the site to minimize the number of valuable trees that would have to be removed for site development. 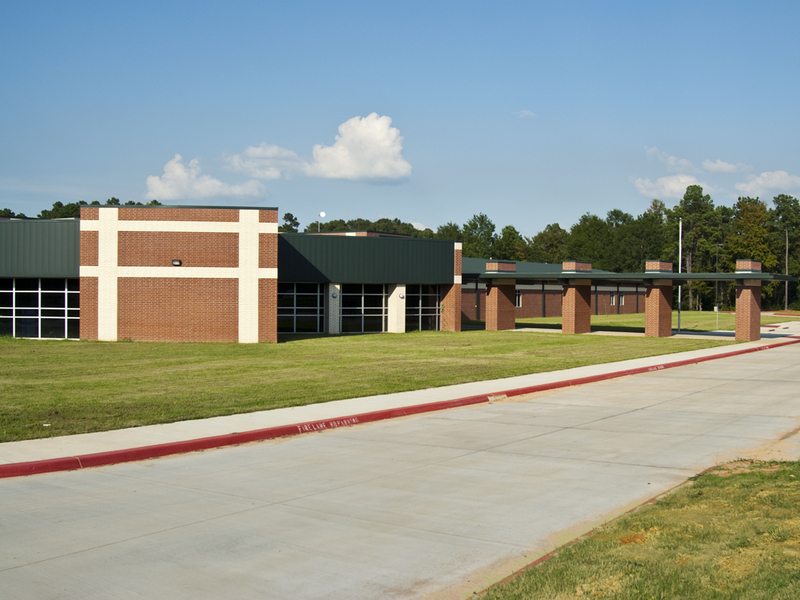 The middle school is an L-shaped building. 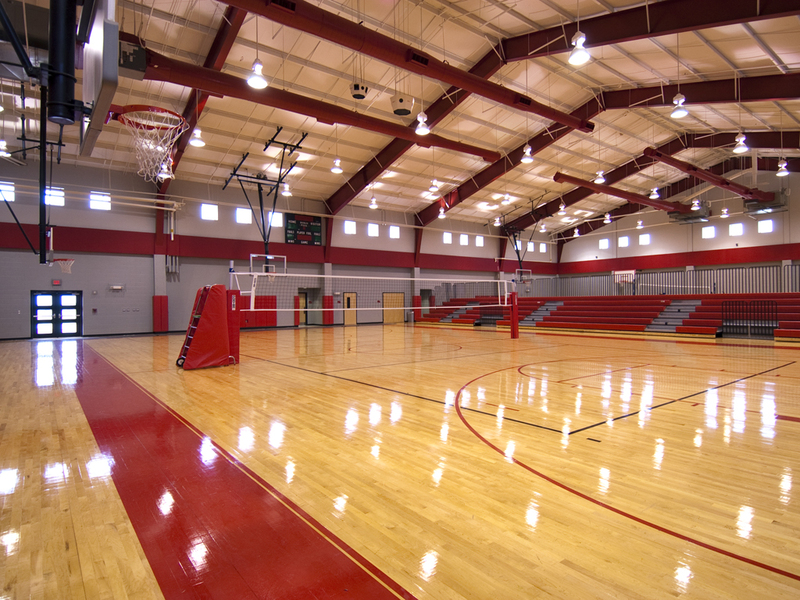 The short leg of the L houses the cafetorium, kitchen, gymnasium and supporting athletic spaces. 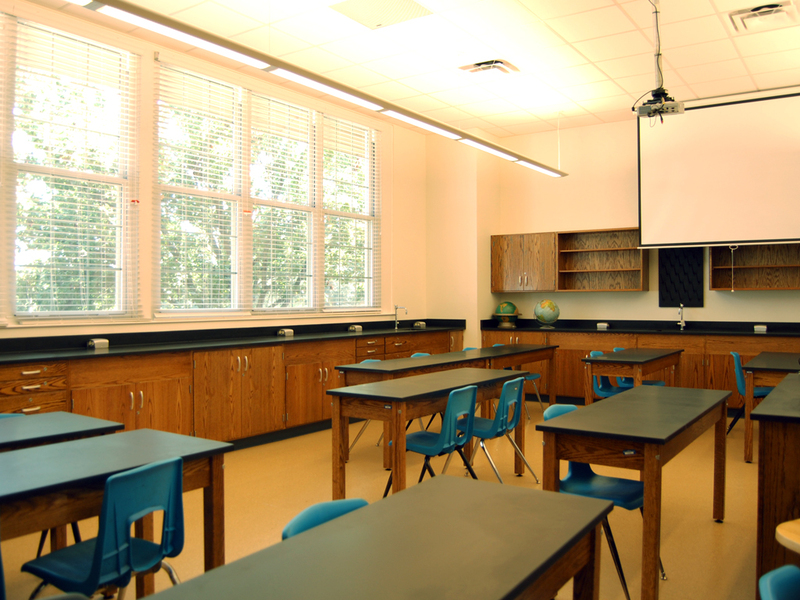 The long leg has the general and specialty classrooms such as art, science and computer labs. At the intersection of these two wings, the library and administrative spaces create a fan shape that radiates views toward the street. 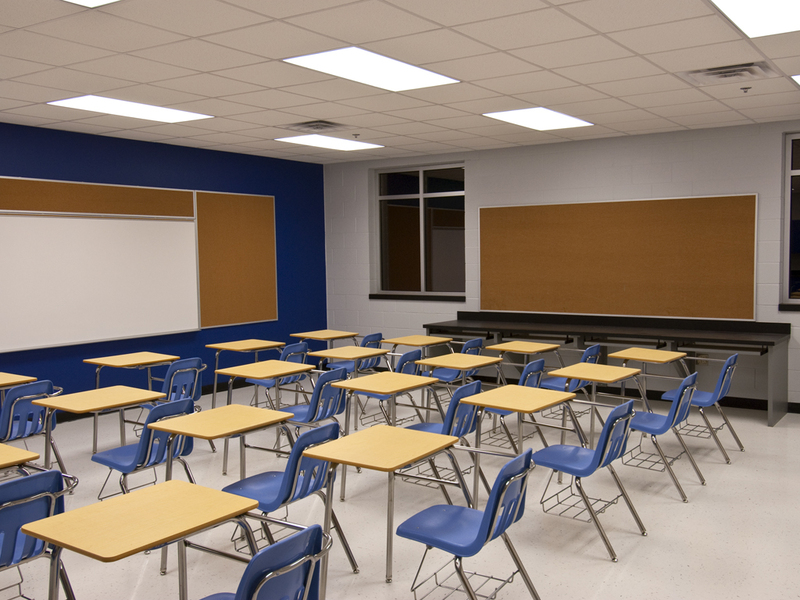 This building accomodates 250 studets in 60,000 s.f.